We all have our own distinct personalities. Babies are included in that we. Some babies are easier than others, even if they are treated essentially the same and in the same environment. Tracy Hogg discussed different personality types of babies in her books. 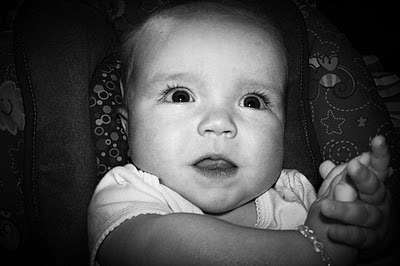 In this post, I discuss the Touchy Baby. This post contains affiliate links. 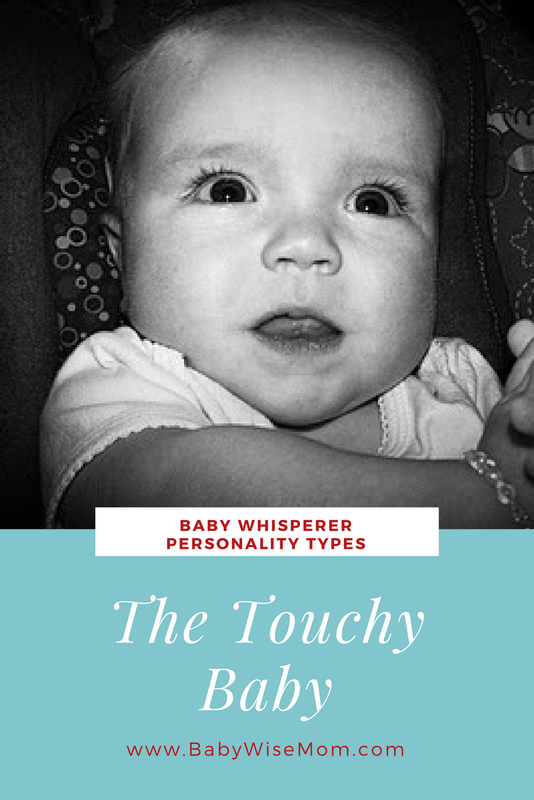 The third personality type described by Tracy Hogg in her Baby Whisperer books is the touchy baby. None of my children have been touchy, so I can’t offer personal insight, but here are the bits of information. This info is found in The Baby Whisperer Solves All Your Problems on page 59. These babies tend to get easily frustrated and don’t like change in their eating environment. They also often do not like solids at first. You have to be persistent. These babies are cautious. They are cautious about new toys, situations, people, etc. They need lots of support from those they are comfortable with. They also do not do well with transitions (when activities change). The usually need to be encouraged to participate. Hogg says to avoid afternoon playdates. These babies need to be swaddled. They also need to be put down at the exact right moment or it can take at least twice as long for them to fall asleep. They often only catnap after noon. Highly irritable and easily upset by external stimulation. Crybaby. Easily set off. Often clinging to parent’s leg or in parents’ laps. If you have a touchy baby, you have your work cut out for you to be sure! But you can do it. Knowing is half of the battle, so with the knowledge of your child’s disposition, you can go forward and work to improve. Remember, Brayden was Spirited, but with Babywise, acted like Textbook, so you can help your baby to have a calmer disposition. My second child, Andrew, was/is a touchy baby. His big sister was an angel baby, so this new personality threw me for a loop initially. To further complicate matters, he had reflux and was born with a rare lung defect that was discovered when he was about 6 weeks old, so he had half of one lung removed. But lung defects and reflux aside, here's what I've discovered with my touchy baby: Tracy Hogg is absolutely right. Swaddle, swaddle, swaddle. And a schedule is the best thing for these babies. With a routine, a touchy baby becomes a happy baby. At church, we are constantly told what a happy disposition he has, and I know it's because of our routine. He was an avid nurser from the beginning, unlike his sister. Touchy babies know what they want and when they don't get it, they're incredibly upset. When they're hungry, don't change their diaper first. Feed them immediately! As for solids, we tried baby led weaning with him, so he was in charge the entire time, which was just the way he likes it. With a little bit of effort, touchy babies can be incredibly sweet babies. Gabrielle, thank you! I appreciate you sharing your experience on the topic. And how scary to have half a lung removed in a baby! I'm looking for an entire book on touchy babies. Any suggestions? thank you, Gabrielle! I wonder though… any other advice for touchy babies? Like HOW ON EARTH do you sleep train them?? :/ my first is very spirited.. I think the only reason I've been able to stay somewhat sane with her is through Babywise. My second is one month old, and definitely touchy. Also somewhat colicky, although the chiropractor is helping with that. I just can't believe how sensitive she is! And how hard it is to get her to sleep and stay asleep!